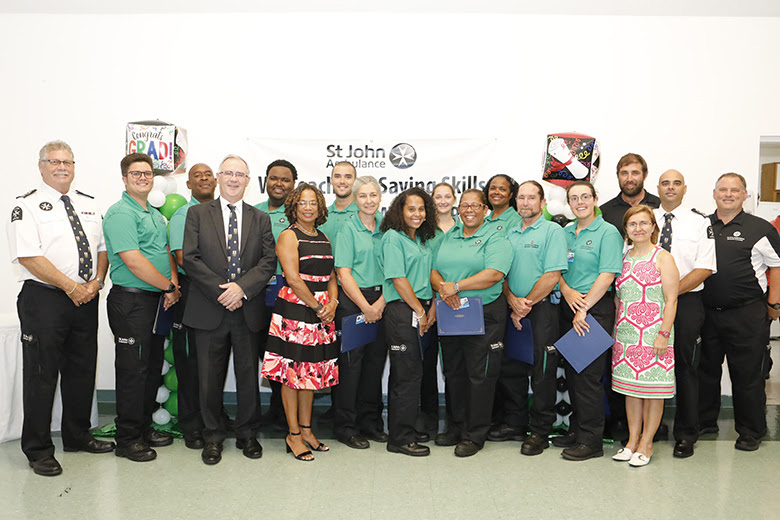 The St. John Ambulance Bermuda Emergency Medical Responder programme held their graduation ceremony last night [June 26], with the graduates including Noah Brady-Soares, Craig Burt, Dana DeSilva, Kellan DeSilva, Elaine Frick, Lilaanne Hilverding, Meekai Johansen, Calvina Parfitt, Laetitia Parfitt, Amalia Pontes and Alethea White. Speaking at the event, Minister of Health Kim Wilson said, “I’m delighted to be here with you for this Emergency Medical Responder Graduation. It is important in our increasingly complex world that there are more citizens qualified to help in a medical emergency. “But I’m also happy to be here as you near another major milestone: your 125th anniversary of serving Bermuda! “St. John Ambulance Bermuda is a registered charity that has been attending to the first aid needs of the Bermuda public since 1894. “Bermuda appreciates all that you do. We are thankful for your presence at the 200 to 250 events you attend a year, providing medical and first aid coverage. “St. 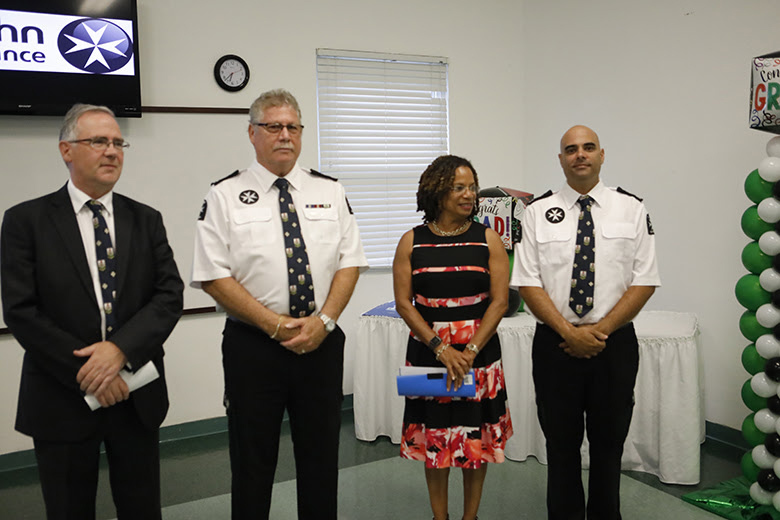 John Ambulance Bermuda is a key part of Bermuda’s collective Emergency Medical Response. Ambulance services occupy a necessary corner of our world that we rarely get to see up close. “But when we do, we are more than just relieved and grateful that there are able and trained professionals to support those facing some of the worse moments of their lives. “Ambulance patients are generally heading to the island’s major trauma centre at the King Edward Memorial Hospital. King Edward receives on average 15 ambulance arrivals a day, some 13 of which tend to be emergencies. “Much of that is driven by road traffic collisions,” the Minister continued. “This month, the Bermuda Hospitals Board released road traffic statistics for the first-four months of the year, highlighting the 490 patients who required the Emergency Department between January and April. “While St. John Ambulance has about 50 hospital runs a year, the majority of its work is on-the-scene care – first aid by Emergency Medical Responders, Emergency Medical Technicians and other medical staff. It also stands ready to provide support for KEMH in the event of a mass casualty situation. “The first aid training you provide to members, and to the community at large, is first-rate. And I would implore more Bermudians to join your organisation and take advantage of that training individually, or through their companies. “The fact that members can complete an emergency medical responder [EMR] program to further their knowledge and skill-set for dealing with medical emergencies is important for our entire community.